One day, Dr. John Dolittle (Robert Downey Jr.) wakes up to discover he can speak to animals and finds himself surrounded by a menagerie of creatures, voiced by such actors as Emma Thompson, Rami Malek, Octavia Spencer, Tom Holland, and more. 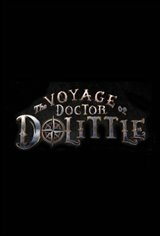 Based on characters created by Hugh Lofting in his series of classic books about Doctor Dolittle, a man who can speak to animals, starting with The Story of Doctor Dolittle in 1920. The first movie adapatation, Doctor Dolittle, was released in 1967 and was a musical starring Rex Harrison in the title role.